Today, Apple boasted record sales of Macs and iPhones which helped power the company to its best-ever performance this past quarter. Apple announced that for its fiscal 2010 first quarter it posted revenue of $15.68 billion and a net quarterly profit of $3.38 billion. According to Apple, it sold 3.36 million Macintosh computers, 8.7 million iPhones (which have doubled in the past quarter compared to last year), and 21 million iPods during the quarter. And we have a feeling Apple may have another bountiful quarter with all of the hype circulating about it’s soon to be released Apple tablet. 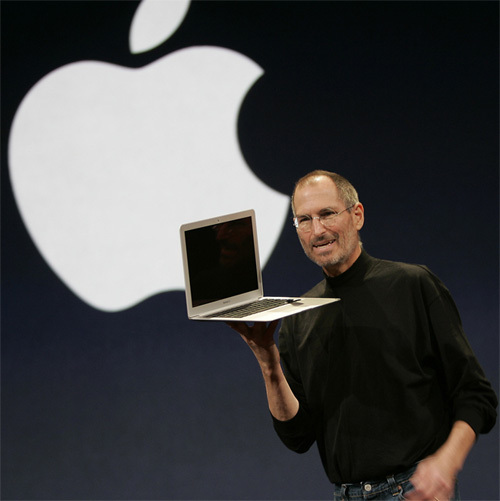 Jobs is referring to the Apple’s Wednesday January 27th press conference date, where the company is expected to unveil its highly anticipated tablet PC. When Steve Jobs admits he’s excited about a “major new product,” then you know there’s really something to look forward to. Just as content as Jobs is Apple CFO Peter Oppenheimer, who claims the second fiscal quarter of 2010 will bring revenue in the range of about $11.0 billion to $11.4 billion. Apple provided live streaming of its Q1 2010 financial results which began via webcast at 2:00 p.m. PST today at www.apple.com/quicktime/qtv/earningsq110/. This announcement will also be available for replay for approximately two weeks thereafter.